UPDATE: It’s here! Check out the video for Rita Ora and Kygo’s “Carry On” below. Rita Ora is one of the busiest women in music. The UK hitmaker rolled out “Only Want You” as the 6th (!) single Phoenix in March and recently joined forces with Latin queens Sofia Reyes and Anitta for “RIP.” On top of that, she somehow found the time to hit the studio with Kygo. They team up for “Carry On” — the first single released from the much-hyped Detective Pikachu soundtrack. The track, which I assume is a club banger, drops on Friday (April 19) and is destined to be very, very big. After all, Rita has a solid track record of brightening up soundtracks. She landed a global hit with “For You,” a duet with Liam Payne, from the Fifty Shades Freed soundtrack, and showcased her underrated vocal chops on “Grateful” — a power ballad from Beyond The Lights. Oh, and then there’s the soulful “New York Raining” from the Empire soundtrack. See Rita’s announcement for “Carry On” below. 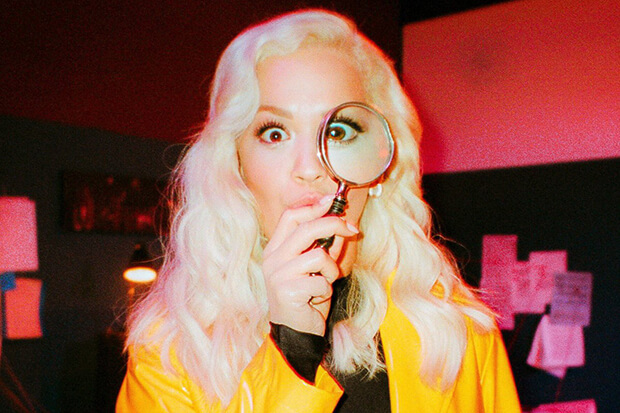 Are you excited for Rita’s new single? Let us know below, or by hitting us up on Facebook and Twitter!